I love autumn, but I’m actually looking forward to October being over. I’m tired of the pink palooza. 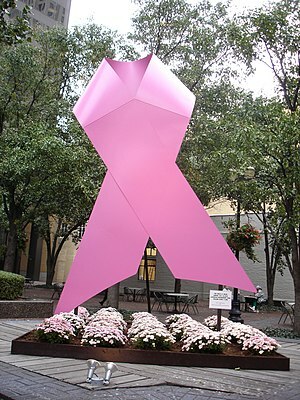 As a breast cancer survivor, however, I feel like I should do my part to raise awareness. After all, the statistics are still that one in eight women will get this nasty disease. I certainly never thought it would be me. I discovered I had breast cancer after finding a tiny spot of blood on my clothing over my left breast. A mammogram didn’t detect it, and neither did several other expensive tests. It turned out that little drop of blood was a tender mercy, an alarm bell that sent me to the doctors. Thankfully, for me, the doctors persisted over a period of three months to try to find the source of it. Finally, when they found the tumor, it had grown, spread and moved into my lymphatic system. At each stage, I prayed for the best case scenario. After the lumpectomy, I wanted to be finished with the cancer fight. After the mastectomy, I wanted it to be over. As I was coming out of the anesthesia, Doug told me that cancer had invaded my lymph nodes. That was the beginning of some no good, very bad days. They proudly wore no scarfs or wigs and sported their hairless scalps proudly. I did not feel like that. My bald head reminded me every time I looked at it that I had a cancer, something that frightened and overwhelmed me. After the first chemo treatment I saw all my hair swirling down the drain in the shower. I couldn’t bear to see it on my pillow, in my shower and bathroom sink drains. If I merely touched it, it fell out. I called my neighbor who had offered to shave it off for me. She came over with her scissors and shaving kit and we went out on our deck on a beautiful October day. We tried to make it fun by first giving me a mohawk. Then, she buzzed it all off. My mom stood in front of me with tears in her eyes. “You have a really beautiful head,” she said. I took a deep breath and looked in the mirror. I saw a cancer victim, and a woman who suddenly knew what kind of fight she had ahead of her. I went into the bathroom and I stared at myself wondering how I would survive a year without hair. Then I realized that cancer could take my hair, but it didn’t have to take me. My hair would grow back. I hated every minute of it but I knew that I had at least a solid year ahead of fighting every single day. It wasn’t so much fighting the disease as the personal effects of the treatment. I had to fight feeling like a victim. I had to fight feeling embarrassed by my appearance as my face and body bloated, my skin turned yellow, my eyes looked vacant, and I could barely walk sometimes. I fought to hold on to my dignity, my confidence, and my faith. There is a physical fight for sure, but in many ways, the fight to hold on to a secure sense of self and a dose of daily hope is harder. There is the external battle with recovering from surgeries, scars, and chemical infusions into the body. And there is an internal battle with doubts, fears, insecurities, and sagging confidence in a “normal” future. There are moments of fledgling faith where you have to choose not to let go of what you believe even though you feel like all your props have been knocked out from under you. For me, those were the toughest battles. I wanted to come out stronger, better, more faithful, more believing, and more secure about who I am as a woman. So in the darkest moments, that is what I focused on — surviving and being a better person when it was all over. My badge of honor was not baldness. My badge of honor was and is a private one — not that I merely survived, but that I learned from it, became closer to God through it, and more deeply connected to my family and friends. I can’t believe I’m going to write this, but I am grateful for cancer because I learned more about life in that brush with death than I could learn any other way. I’d give anything to have learned those lessons in an easier way, but that’s not the way God teaches us. He teaches us the most sacred lessons through the hardest trials. And in the end, that is what I wish we would celebrate instead of the cuteness of all things pink. Having said that, we live in a pink ribbon world. So, I’m getting my pink on to support breast cancer awareness. Do self breast checks, notice changes in your body, get your mammograms and take responsibility for your health. October is almost over so hurry, and get your pink on. 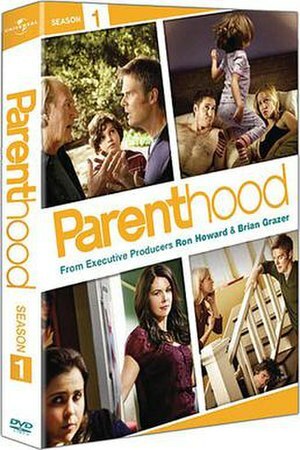 If you want to see a realistic treatment of what it’s like for a family when someone is diagnosed with breast cancer, check out the new season of Parenthood on NBC. And have your tissues on your lap, you’ll need them. Laurie, I have to tell you what I saw when I saw the picture of when your hair had grown back enough to ditch the wig: your young self. I thought, “There’s the girl I knew in high school.” I guess it just goes to show that we don’t necessarily see ourselves accurately sometimes. I had two small battles with breast cancer (both DCIS, but once in each breast) and was spared a big, ugly battle, for which I am very thankful indeed. My business partner had an experience more like yours. I am in awe of the courage and determination of both of you. Susan, I’m sorry you had to deal with breast cancer but so happy it is behind you! Let’s keep it that way. Also, thanks for reading my blog!